What do you think of when you see the word ‘marketing’? Do you think it’s all a front? A a big front to trick people? The most successful marketing plays on psychological traits that we all have. So is marketing just deceitful, full of lies and aimed to get your attention and your money? That’s not a nice place to be, is it? That’s not something to aspire to do and it’s not something we’d be proud to be doing. But we need ethical marketing (where the product/service is helpful to the buyer) to grow our business, and we need marketing to drive traffic to our website. We’re constantly being told to be social, be ‘out there’ and that without marketing our business will fail. So, what do we do to ‘keep it real’ and how do we avoid being a sleazy salesman with a big fat shiny lie bank? Back in 2009 I started my journey in marketing. Unlike many that I compete with in this busy space called digital marketing I didn’t learn it from any one person. I didn’t craft my skills in a classroom or as an apprentice. I learnt all that I knew up until 2013 from a van, from the cockpit of a wine delivery vehicle, and I shared those findings on my company iPhone. I didn’t like sales (in fact I still don’t) so I have no idea why I tried to sell and why I spent the first three months on Twitter pretending to know lots about wine. I sucked at that and I sucked at sales. I created a character for the wine merchant that was me, myself and I. I told the story of the multitasking van driver who had a disregard for parking laws. I told the good, the bad, and the messy (I broke a lot of wine) and the audience I grew began to enjoy it. Since then, I’ve shared pretty much everything. 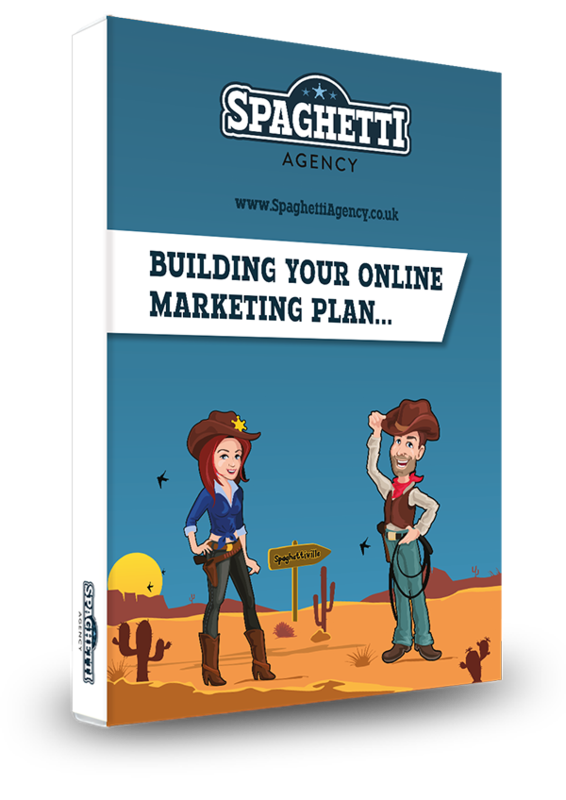 I’ve used social media and marketing to grow my profile and in 2013 I grew a pair and quit my job of 11 years to start this business with Jo. 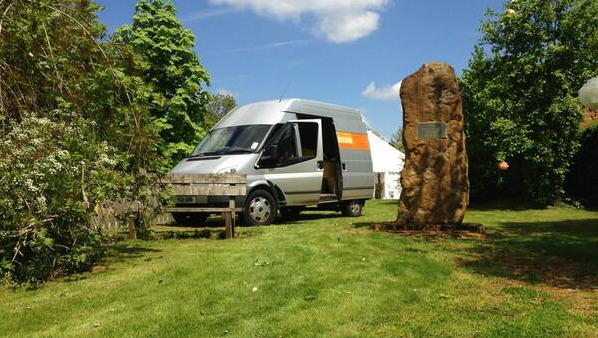 I’m no longer ‘just a van driver’. I’m now a director of a well-known marketing agency that competes against much larger competition, online and on the street. But I didn’t trick my way here with lies, deceit and empty promises. I was myself. In fact I attracted Jo by just being myself and now we’re expecting a baby in July. We met on Twitter in 2009 and now we’re inseparable. I haven’t attracted an audience to our agency, our workshops, our events or my networking group that I run by doing anything that clever or technical. And I certainly haven’t lied. In fact, it’s so simple – anyone can do it! I make no apologies for it, and do you know what? It works. From tweets to Instagram videos to blogs like this and speaking slots in and around the UK, I’m just me, 100% unapologetically me. The lady on the phone was after some social media training. We have a workshop coming up and she was looking for assurance that it was for her. I listened to Emma and I picked up on a couple of things she said and told her that “Yes” the workshop is ideal for you. 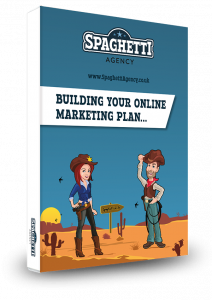 “It really will give you an over-arching view of digital marketing” I replied. We chatted about a few things, including how much it’s all changed since she was employed. I laughed and said, “So many people say that to me” and we got onto the subject of live video. … but he was just his scruffy looking self and still is. From the first videos to now, he’s hardly changed, in fact – he’s evolved. He’s approachable and relatable and of course he’s a good looking chap with a great body (which helps because it’s evidence that his stuff works). But he’s himself and he’s genuine. He knows his stuff and he’s very passionate and excitable about it all. And that engages millions of people like Emma to watch his videos and buy his stuff. Being you. Being true to yourself in your marketing. Being 100% you and never once letting that stop you from going online and owning it. That’s what you need to do. You can do it. 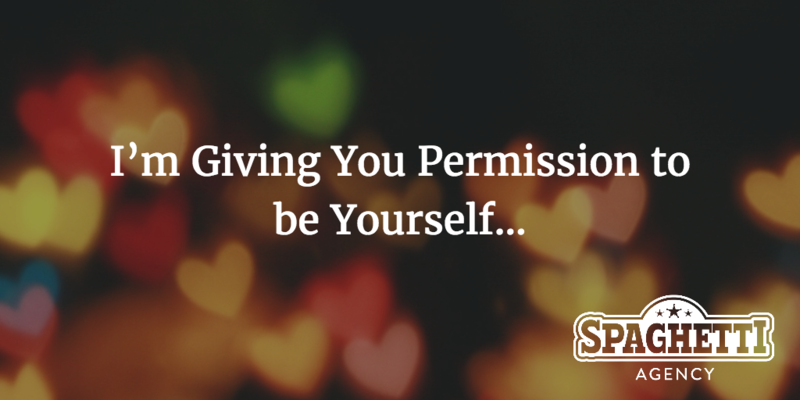 Go on, give yourself permission to be you and follow that through in your marketing. Be you online, be you on the phone, and be you when you write your content. If you haven’t met me yet, then you won’t be very surprised when you do. By that I mean what you find from me online is what I’m like in real life and it’s something I’m adding to all the time. I tell my story, the story of the agency, and it’s bringing people to our door. I asked Emma how she found us (it’s important to always do that). She said she was searching Google and we came up (fairly high) and she just loved our website. She liked to lively approach and she could see (from this blog) that we “know our stuff!”. This website is unashamedly unique. It’s not corporate and it’s not trying to fit in. 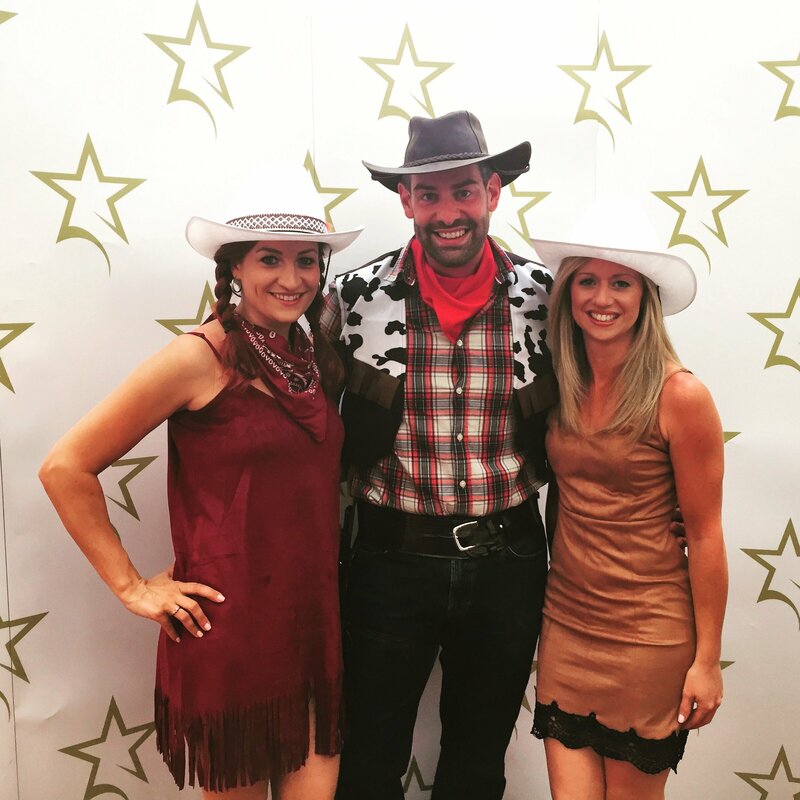 If you meet me at an event, I’ll be wearing cowboy boots, jeans and a cowboy hat (with a branded T-Shirt). When you meet me, when you meet our team, you’ll find the site is not a front. We live and breathe our brand. Are you? Are you happy with your marketing and your message? Because it’s all very well having a great message and strategy but if it’s not really you… well it’s going to be really hard to keep it up. When I’ve briefly done any performing on stage in the past I got extremely tired afterwards. Do you remember learning to drive and how hard it was on your head? One hour was shattering! And yet you wouldn’t think twice about driving for 3 or more hours now. Funny isn’t it? When you try to do something that’s not natural, it’s really tiring. Being you is so much easier. Having a business that’s true to your values is so simple to keep up. We’re constantly told by people who come onto this website that they love it. Of course, plenty of people don’t get it and hate it… but they never call me for help, so that’s fine by me. Be you, be yourself, and let that follow through in your branding, your website, your blogs, vlogs, streams and updates. One day very soon you’ll meet someone that gets you and they’re more likely to trust you and then buy from you because of it. Not because I sold her into it, but because I was able to back up everything she’d found out about me. She booked onto our full day training because I answered her questions and I understood her needs. I also didn’t pretend for one minute to be anything other than myself and that’s a very important part of sales that I’ve learnt along the way – not making them feel like you’re tricking them! When I took the call, I was streaming music on my iPhone. I took the call on the walk with my headphones in whilst the rain battered me. She didn’t catch me answer with “Howdy, Todd speaking” but she still knew it was me. “Oh hi, is that Todd? I’ve been looking on your website and I’m interested in your workshops”. Everything I said on that call was based on what I’ve learnt and what my team continues to learn about online marketing but I was also very excited about the subject that I spoke about. Emma already knew my name and she already had an expectation about me, Spaghetti Agency, and what we offer. That phone call backed it up enough for someone to pull out their credit card and buy from someone they’re never met. Start being you online and in business. The days of lying in sales and performing trickery are coming to an end as the online world exposes the real people and businesses. The story of why you do what you do needs to shine through on every touch point. 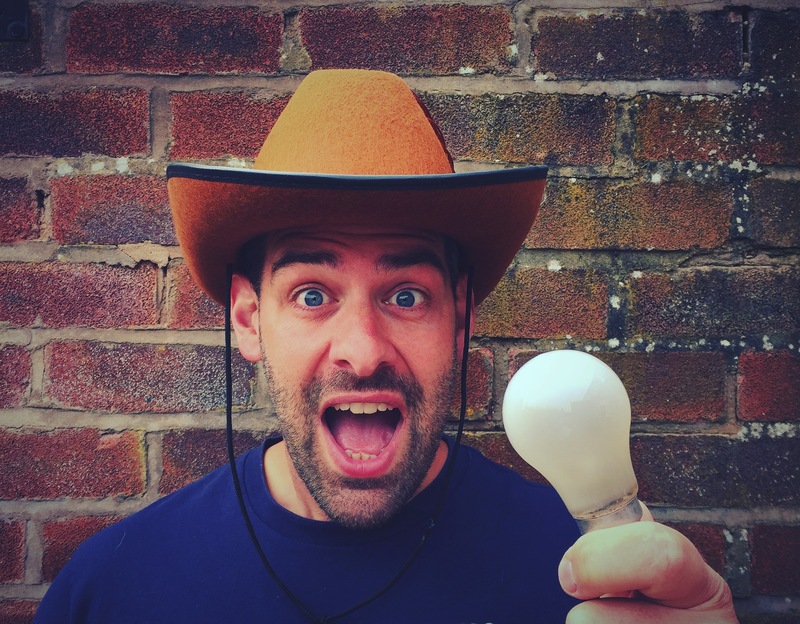 Be authentically yourself in your marketing… I’m giving you permission. It’s hard, I admit it. But we really do need to be ourselves and let that shine through in our content! thanks for reading and good luck being tactful!